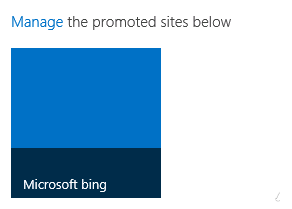 We were facing one more problem some days before where we wanted to add Promoted sites in User Profile Service application à My Site Settings à Manage Promoted Sites using PowerShell. First of all we will find what is Promoted Sites? If we want to promote some of the sites to all or specific user group we can use Promoted sites. 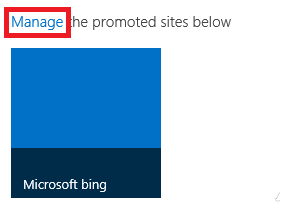 Go to ‘User Profile Service application’ –> ‘My Site Settings’ –> ‘Manage Promoted Sites’ under central admin. 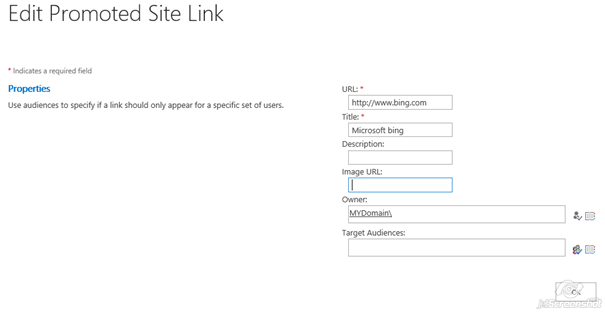 Save the Promoted link and go to ‘Sites’ navigation added on Right Top in SharePoint page, you will able to see the newly added promoted site like following. You can also add the promoted site by using the ‘Manage’ link available, as shown in bellow image.